I have a soft spot for the island nation of Singapore. I use the term island-nation loosely, but in de facto terms, one would use the term ‘city state’, a term that conjures images of Renaissance Florence and Venice. The entire island compasses one extremely large city, half the size of Rottnest Island, feeds, entertains, houses and educates 6 million people consisting of primarily 4 ethnicities- Chinese, Malay, Indian (accounting for all the sub-ethnicities). 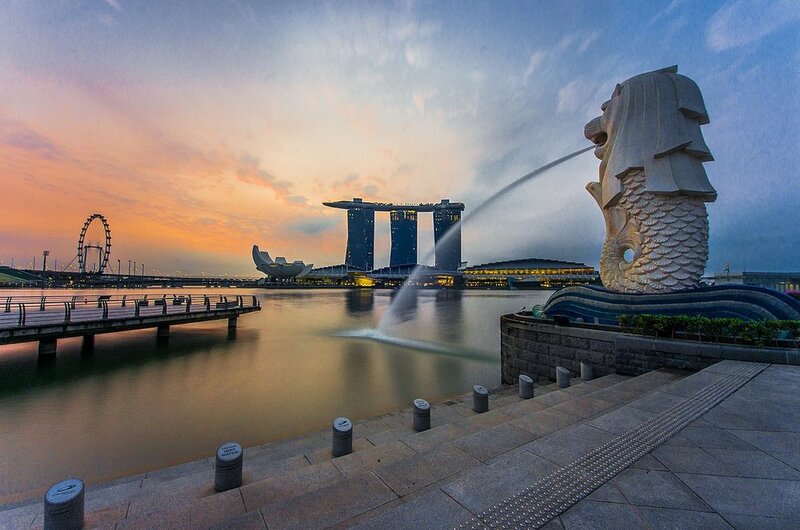 In addition to that, Singapore has also been home for expatriates from the United Kingdom, United States, and France. The resulting cultural mix is unique and fascinating- Australia merely experiences multiculturalism, but Singapore lives it daily, for all its blessings and faults (exemplified by a riot in the Little India District in 2013.). Singapore had to rise to the challenges of nationalism at a very fast pace, and with a lot of reluctance. Most of modern Singapore’s history had been under British rule as part of British Malaya, starting with the founding of the trading post by Sir Thomas Stamford Raffles (usually referred to as Stamford, on account of his elder brother bearing the same first name), from whom the business district Raffles Place derives its name. During the Second World War, the Malayan peninsula stood in the way of rapid Japanese advance across South East Asia, and Singapore served as the last redoubt in which the British would make their last stand. After the war, Malaya was granted its independence, and became the Republic of Malaysia, and later on disagreements would see the island of Singapore be separated from the rest of Malaysia via a plebiscite. Eating in Singapore is cheap- I can proudly declare having tasted Michelin star quality meal for less than $4 SGD- a plate at Hawker Chan’s- across the road from the OG Hong Kong Soya Sauce Chicken Rice Noodle hawker stall in Chinatown- an actual, proper Chinatown, with restaurants on both side of the high street and tables + stalls smack bang in the middle of aforementioned street. Beyond that I consumed copious amounts of the local Char Kway Teow, which is basically fried noodles in very sweet soy sauce that I find incredibly delicious as well as quaffing down a whole bottle of A&W Root Beer (don’t judge me). However things that you don’t eat are quite expensive (oddly this isn’t the case when it comes down to cardboard crack), or things that you would normally find in a fridge at home- milk, imported from Australia, costs $3 for a 1-litre bottle- go figure. Singapore is very easy to get around, though the ticketing system is at times arcane and byzantine, thanks to the glorious wonder that is the MRT. The trains are very fast and its quite easy to miss your stop if you aren’t paying attention. One hard lesson I learned was always have $1.40 in coinage at all times, as buses don’t have change. I did plenty of touristy stuff (and on occasions not-so-touristy), but a slight departure from the usual fare. The one I remember fondest was actually a half an hour sojourn to Bedok on a Wednesday evening (originally I had planned on playing M:TG that day, but Standard doesn’t fire at the store I visited) to watch the local soccer. The S-League is pretty bad by all accounts of objective standards- plenty of long ball, route one action that is the staple of English football outside of the Premier League, except transplanted to a country where the average height is the 160-170cm bend. A trip to Bedok is almost like a trip through a time machine, away from the high-tech city central into what seems like Jakarta on any given day. I couldn’t help but notice the local soccer had a very community feel- tickets on the door served by a door girl that wouldn’t be out of place of the Rosemount- a table with snacks and iced lemon tea for $2, which is just about right for lower league level, and the chants were devoid of any thoughts of abuse at the referee, and more closer to ones at your school’s lightning carnival. The game itself ended 1-1, with both sides scoring some pretty scrappy goals with a little help of shoddy goalkeeping. For a little taste of high-brow, it was off to the National Gallery just across the road from the St. Andrew’s Cathedral (quite disappointing for a cathedral), an art gallery that used to be a Supreme Court building housing two very large exhibitions, showcasing artists from the South East Asian art world; past and present- that I spent a good day wandering, lost in a little maze for the entire day. However the admission fee is quite egregious for a foreign tourist (though contextually reasonable), but it was one hell of a gallery. Further on the cultural exploration, I made the jaunt towards the Arab Quarter, the Kampong Glam district, which is centred around the Masjid Sultan (the Sultan's Mosque), and the Istana Kampong Glam heritage building- formerly this placed used to house the Rajas of Singapura back in the pre-colonial era, and now serves as a museum to educate Singaporeans of the Malay heritage of this country. Another thing off the beaten track was the Battle Box, which I only added to my (non-existent) travel itinerary. The Battle Box, situated in the Fort Canning Park, is the remnants of the old bunker in which the British huddled in, under the stress of constant aerial bombardment by the Japanese during World War II, and the place where the commander of the time, Arthur Percival, made the heartbreaking decision to surrender himself and 120,000 other soldiers of the Commonwealth, many of them belonging to the Australian Volunteer Force, into the dreaded Changi prison camp. Waxwork depictions of the officers, and the remnants of military phones and radios are assembled. Quite a little trip down the history lane for me, who really liked Year 12 History Class. One week of tropical paradise, and all good things must pass as goes that Latin quote I like to use every now and then (sic transit di gloria mundi). There were a lot of things I thought about doing but didn’t get the chance to do.